I figured that I needed to start putting up chapter art as well. Sort of to help give a better view of how I am splitting the books up for the graphic novels. 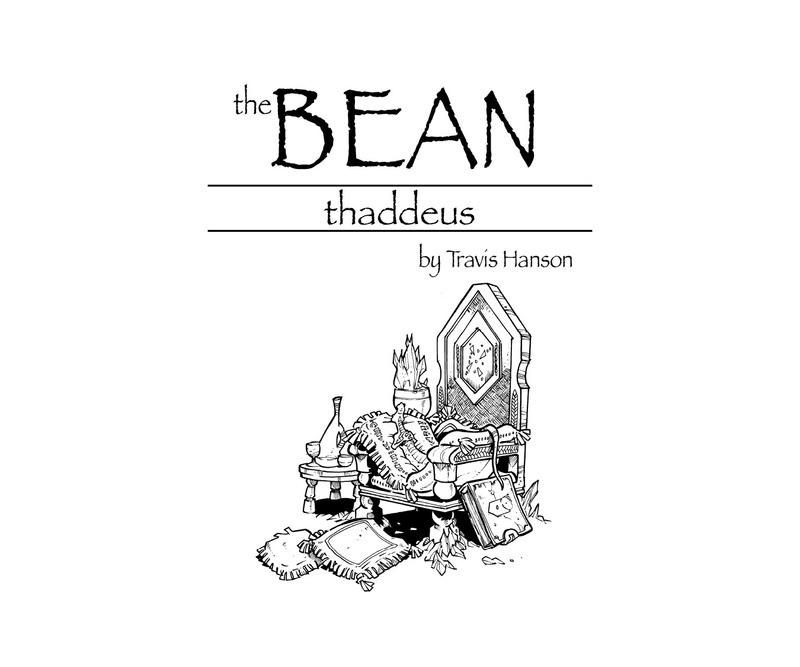 There are 6 days left to pledge on Bean vol 2. The lost prince. If you want still get a copy with free shipping you’ll need to put a pledge in. The best deal is the $30 pledge, you will get both vol 1 & 2. Thanks again for all your support. You can pledge here at the Bean vol 2: the Lost Prince. Plus ALL SHIPPING ON THE KICKSTARTER PLEDGE IS FREE! I have decided that the update days will be monday and thursdays. I think that is the best way to keep the story flowing. Monday we will be starting chapter 10. thanks so much for the support. If you enjoy this tale please tell your friends, get them to help support vol 2. Keep creating and thanks for all the help. With a defining pose like that, I think I'm going to love Thaddeus already. Love the lounging languid lizard! Couldn't help the alliteration here at the end of the year.